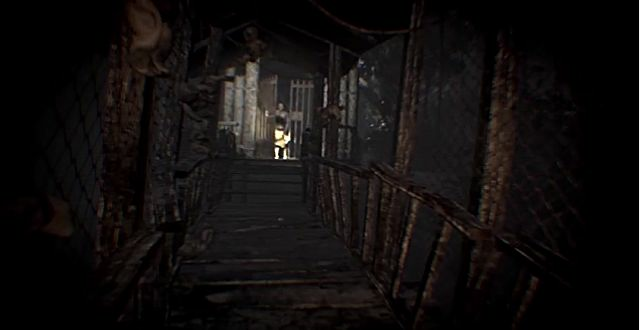 E3 2016's Resident Evil 7 trailer is a fantastic example of what I love about that expo. It's the reveal of a game that no one was expecting but are nonetheless excited for -- in such a way that it absolutely blows your mind. Barely anyone expected to see that title at the end of the trailer. 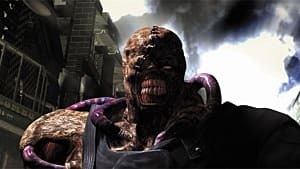 The realization that everything you just saw was the new Resident Evil, a main entry in the series that goes back to horror in a way that we want it to, was a fantastic feeling. Or is it? One of the reasons it was so unexpected was because the type of game shown off in that trailer -- and in the demo. It isn't quite Resident Evil. Despite major changes throughout the whole series, it's always been about biological monsters, not whatever we have so far. Arguably, we could have a situation like in Resident Evil where the enemies are sort of human, before their heads fall off and giant centipedes come out. What's more important though is the way in which the first part of that trailer, and the demo, present horror. 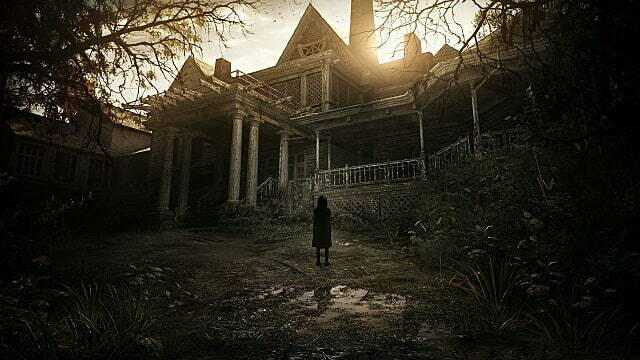 The classic Resident Evils (1, 2, 3, 0 and Code Veronica) create horror through resource management, environment, and atmosphere, while the direction for RE7 seems to be one that focuses on the mystery and the unknown. It's not bad, not bad at all, but it's not what Resi fans want. 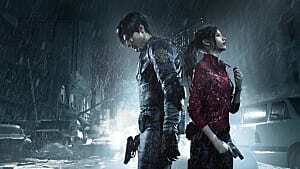 Capcom has promised that the tone of the demo wasn't particularly representative of the full game, however the second trailer is incredibly similar and hasn't cleared anyone's doubts. That being said though, there are a number of things the demo has shown us that I think people don't seem to have noticed. These things connect Resi 7 to previous titles in the series, design wise. So, if you haven't played the demo yet or just haven't noticed them, I'm here to explain to you what these things are. First, however, I'll need to explain what makes the classic Resident Evil formula so great, to give you an understanding of why it's important that these aspects return. Yes, I just said that. Resi's control scheme is a large factor in how scary it gets, however most people focus on how frustrating it can be. The original RE games use 'tank controls'. Unlike most games in which you point the joystick in the direction you want your character to move, your character is instead controlled much like a tank. Basically, pushing the stick forward moves your character forward, and pushing sideways rotates your character. You have to first rotate your character before you begin to move. Now, I could argue that once you get used to it, the controls aren't that clunky, but the obvious question would be 'why can't we just you just have normal controls?'. In my opinion the slightly higher level of concentration required to control your character means that if you get stressed or scared the controls can start to get in the way. Thus increasing your level of stress and fear. However, there is a much more important reason. Resident Evil was born in an era in which video games were still figuring out how to give players control over the camera in such a way that movement in 3D works perfectly (arguably, we still are). However, Capcom decided to completely ignore it and gave the player absolutely no control over the camera at all. Resident Evil's world is portrayed to the player through an interconnected string of static camera angles. The camera rarely moves, however as soon as the player moves out of view the camera changes to a different one somewhere closer to the character. Tank controls are required in this situation to prevent the player from being disoriented. Consider how this camera would work where the player is allowed the usual control scheme. Say the player moves left across the screen, the camera angle changes and suddenly 'left' is a completely different direction in relation to the player. The character would immediately change direction. If you don't understand what I mean, play the first Devil May Cry and you'll find out. In the tense, claustrophobic situations Resi presents, this could ruin things. With tank controls, forward always means forward no matter what direction we're looking in, and it's easier to determine your character's movements. So why do we need this type of camera? We need it for horror. A good horror film creates fear through 'sensory deprivation'. We fear what we can't truly understand, so when a film removes our ability to see the danger it forces us to use all of our senses and focus our attention on the scene in an attempt to figure out what's going on. When we begin to realize that it's difficult to determine where the danger is, where it could come from, or even how dangerous it is, that's when fear starts to settle in. Resi's camera angles achieve a very similar affect. Enemies usually come from outside of your viewpoint. You can hear them, sometimes even see their shadows, but you aren't allowed to move the camera to see them. It creates this haunting atmosphere that the player becomes immersed in simply because they need to concentrate on every clue the environment offers that danger could be around the corner. There's a technique in film called holding long. This term is used the director doesn't end a scene as soon as we think it would. 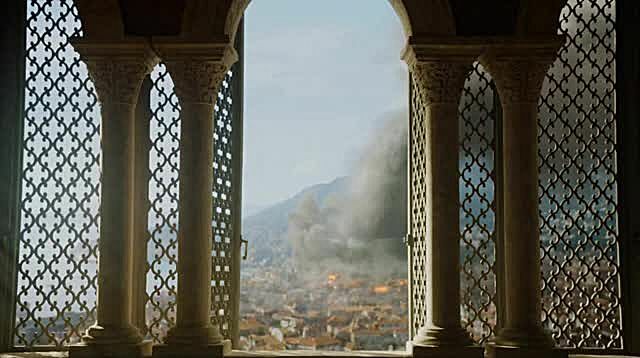 For example, a character leaves a scene and we're left watching the same spot. It causes us to concentrate on the scene and wonder in suspense about what could be happening. There's a cinefix video that explains this quite nicely. The remake of the first Resident Evil actually manages to utilize this technique. Not just through a cutscene, but through the gameplay itself. We have been taught through thousands of films that when important events stop occurring the scene changes. This is why holding long on a shot is effective. Throughout the first couple minutes of Resident Evil we are taught that when we walk out of view, the camera changes. Which is why when this happens, it's weird. To give you some context, at this point in the game you've seen your first zombie. You're unable to kill it yourself so you feel quite weak. As you explore more of the mansion, you hit a dead end and find a knife. You pick up the knife and turn back, however for some reason you walk right off the screen and nothing happens. Now this doesn't have quite the same effect, as a gamer would probably assume that the game has some lag or it's frozen. What's really important is what happens next. 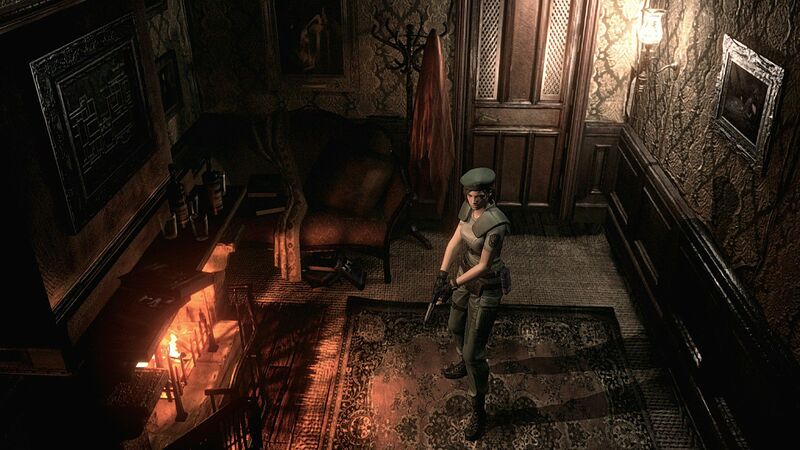 Without the player's control, Jill walks backwards into view. 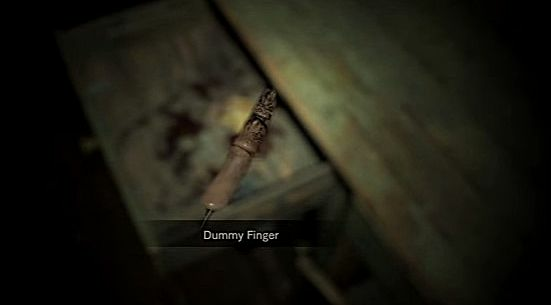 This causes the player to question the entire situation, until they see the hand appear from around the corner and they understand what has happened. 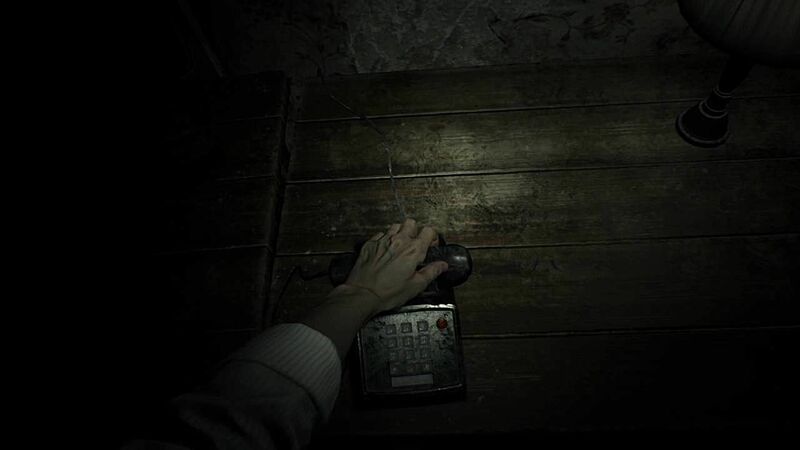 This combination of suspense and then release is the essence of horror, but the addition of a disconnect between the player and the game makes you feel helpless and confused. It adds to the suspense as suddenly the game doesn't work how we were taught it should. What's even better is that this scene has three main purposes: The first is to teach you how to use the knife, it's not easy to get out of there without being grabbed by the zombie and having to use the melee weapon. The second is to teach you that the game will sometimes pull this type of thing on you. The third however, is the most important. The reason why the appearance of a zombie in that location is truly confusing is the fact that we were backtracking. The player had already been through that hallway, had seen that there were no zombies in the area, and had probably assumed that they were safe. But a zombie turned up anyway. 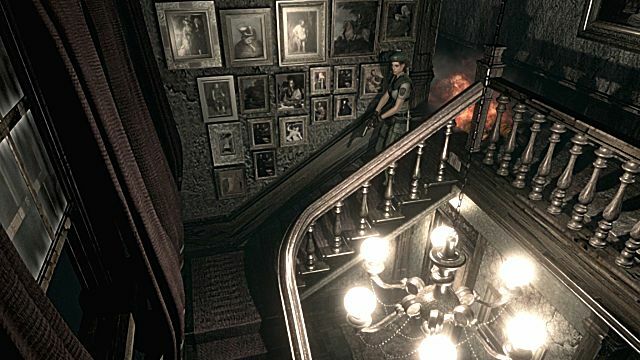 Resident Evil is a game about exploring a mansion, hence the term Resident Evil. As you explore you'll be returning to places you've been before in order to solve puzzles. Unlike games like Castlevania Symphony of the Night or Metroid enemies don't usually respawn once you leave the area. Once an enemy is dead, it stays dead. Unless you don't burn the body, in which case you're screwed. Again, we're taught to think a certain way. Surely when I return to an area I've been to, it should be safe because I killed all the enemies. But no, certain interactions trigger certain events to occur in certain areas. For example, you defeat a snake boss and pick up a key. 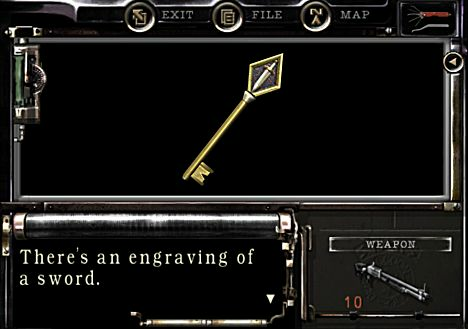 You go to use the key somewhere else, returning to a previously explored area. However, this time the windows smash and some more zombies jump in. You never know what could set off an area to have more enemies, and this creates an environment where you feel like anything could come at you at any time. And this is all emphasised by music. If you never understood how music could create emotion, then play Resident Evil. The safe room music is so superbly done that even though its the safest place in the game, you still feel afraid that something could break in. It's mainly soothing music, but with this creepy undertone that reminds you that while you're safe now, you have to go back out there at some point. This feeling would mean nothing if Resi's gameplay didn't fit. The areas you explore in each game are metroidvania-like, in which you scour the mansion for things to find, meeting locked doors and enemies along the way. Eventually you'll find a key that allows you to unlock certain doors, requiring you to go back to each area and see where that key works. Let me just say that this is really fun, the feeling when you find a key is like no other. It's a feeling of endless possibility... until you get that message that says the key has no more use and you throw it away. This design encourages backtracking, which allows the constant fear of danger to take full effect. If we were constantly moving forward then there wouldn't be too much to be afraid of. 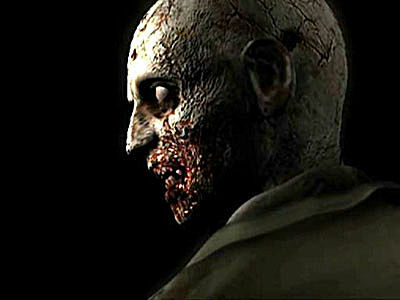 However, none of what I just said would be scary if it wasn't for the way that Resident Evil deals with death. 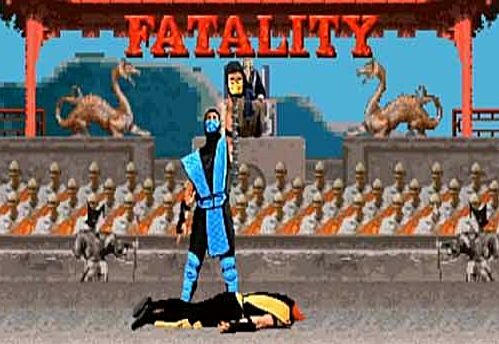 I could write an entire article about how video games should penalize you when you die, because in my opinion it's something that's really hard to perfect. 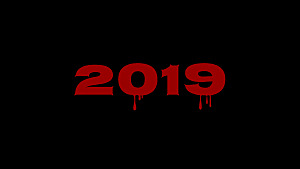 Every fear portrayed in a film usually connects to death. What truly scares us is either being so immersed that it feels like it's happening to us, or that we don't want those characters to die. This doesn't work in a video game, the developers can't just have you die and end the game altogether. So any fear of the death of your character is immediately removed once you die the first time, and see your character come back to life afterwards. There are only a few games where permanent death works. Fearing death in a game helps to make the game more immersive. It allows tense situations to be tense for the player. Really, any game could be improved with a proper death penalty. 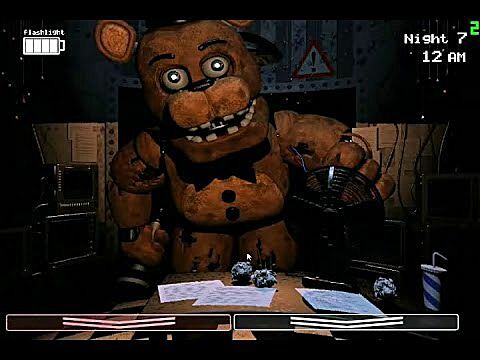 However, horror games require them, because horror games need to generate fear. So this asks the question of how we penalize the player when they die. The obvious answer, which is what most games use, is to cause the player to lose progress. Either pushing the player back to a checkpoint (pretty ok), back to the start of the level (pretty mean), or back to the last save (even meaner). Dark Souls has its own rather unique method of punishment in which you lose your unused exp, however this doesn't avoid the major problem. We play video games to have fun, arguably, and this is where death penalties create issues. There's almost no way to take something away from the player and have them actually enjoy it, it just doesn't work. The more you take away from the player, the more tense the situation is. Therefore it's almost impossible to create an incredibly tense situation in which the player doesn't feel terrible once they end up dying. Resident Evil takes the incredibly mean route and forces you to load your last save when you die. This isn't always great because you could forget to save and end up losing hours of progress. What's even meaner, however, is that saving in Resi requires you to use a finite resource, and it isn't too common either. This means that you have to spread out your saves so you don't run out. Basically, if you die in Resi you have quite a lot to lose. Or do you? Resident Evil is a game about learning, as I've said before. It's about finding items and using logic (and sometimes just guessing) to find out where you need to use those items. A player who knows what they're doing can finish the game in a couple hours. What this means, is that even if it was 2 hours since your last save, if you die it would only take you about 10 minutes to get back to where you were. Most of that time you just lost was spent finding where the items are used, now that you have that information you don't waste that time. Not only that, but you know where all the enemies are so there's no need to be cautious. This -- in a way -- is the best of both worlds. When you're being attacked by enemies, in the heat of the moment all you can think about is the amount of time it's been since your last save, so it's tense. 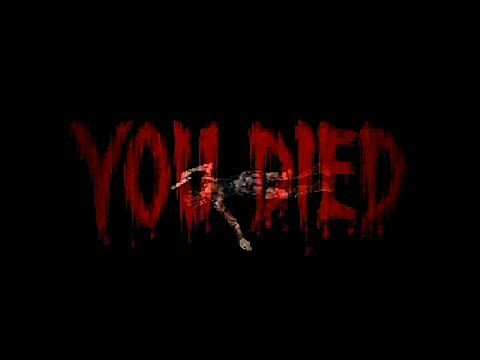 But if you eventually die, it doesn't sting so much because you begin to realize that all you need to do is run to a couple of specific rooms and you'll be back. This doesn't work for all games, because not all genre's can have this puzzle style implemented. We can't really learn from RE in this retrospect. However, Dark Souls has a similar situation, in which you learn your enemy's patterns and learn how to deal with them better. So perhaps this is just an aspect of good game design. 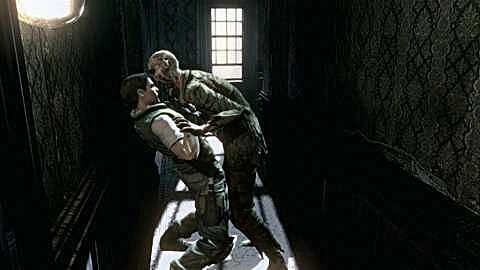 In my opinion, the way that Resident Evil deals with death is integral to creating fear while playing it. There are a number of things that I haven't mentioned that other people might think are just as important, such as resource management, atmosphere, or zombie dogs. But I don't think any of them would be scary if we weren't actually worried about the death that came along with it. This is exactly why I think that RE contains examples of good jump scares. It's quite popular recently to hate on jump scares, and with good reason. They're an easy way to make people scared, but they're usually used way too often and with not enough thought put into them. Here's the problem, a jump scare isn't particularly a "scare", it's more of a simple reaction. It's your body reacting to possible danger by waking up all the muscles, and it's unpleasant. You could argue that it's possible to "fear" a jump scare, but I would say that that's more like the way one would act when they're about to experience pain. This is the same feeling the people abuse to make people go insane through torture. This could explain why we enjoy watching people play games with jump scares in them, but there isn't as much enjoyment to be had when you play one yourself. 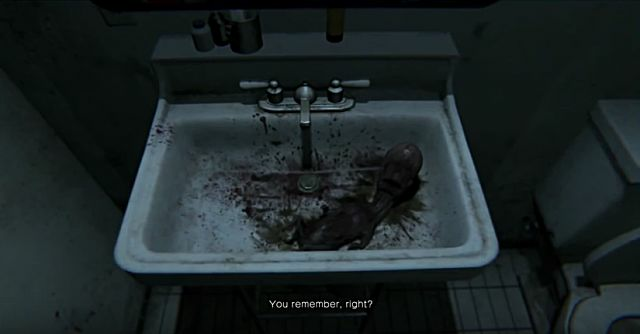 When a jump scare is used in a well directed film, or Resi, it makes us jump, but also creates fear because they have some weight behind it. 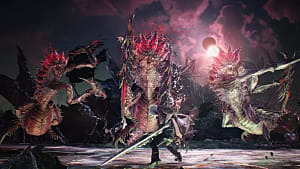 The appearance of a monster in this fashion is scary because it means that the characters could get killed by it. In RE's case, you yourself have to actually point your gun at them and shoot them. The player jumps not just because the brain is waking up, but because they themselves need to be awake to act. If a monster enters the shot and leaves for the sake of making you jump, it doesn't really have the same effect. So RE7 has a lot of fans rather skeptical. 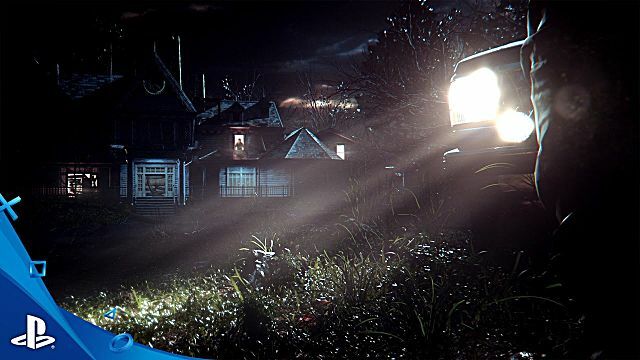 The demo and it's trailers appear to give off an atmosphere of general creepyness, cooking pots full of cockroaches, weird men appearing out of nowhere, and a creepy run-down house. This kind of horror is something similar to Silent Hill or a number of horror indie games. There's nothing particularly wrong with it, other than it becoming rather cliche recently. 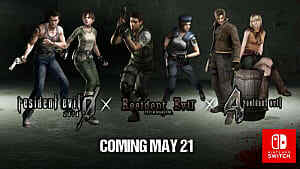 However, it isn't what makes the Resident Evil series unique. But let's look at a number of ways Resi 7 could be returning to the original formula. First of all, it's rather difficult to tell how RE7 will deal with death. Since the only way to die in the demo is to finish it, there's no way to find that out. However, there's one thing that's rather important that we need to consider. The first thing you do in the demo is find a tape player, with no tape. Then you progress in the house and find a cupboard, which is locked by a chain. You then reach the end of the house and find pliers. You use the pliers on the chain, which unlocks the cupboard revealing a tape, and you then use the tape on the tape player. This might seem really simple, but this means a whole lot. 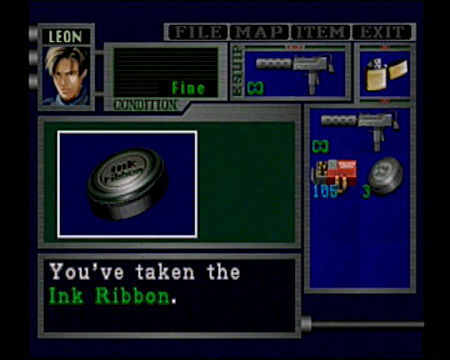 What this indicates is a style of gameplay in which items must be found, and we must backtrack in order to use those items. It's an incredibly simple progression, you simply move forwards then backwards, but if the demo is in any way indicative of the full game, I think this means we'll have that same puzzle style of game with items and exploration. If we have a game that focuses on exploration, then this creates a format for a number of the horror aspects I talked about before. It allows for random enemy placement, and replacement, that creates constant danger. This is something I'm sure other people have picked up on, but it doesn't get the focus it deserves when discussing the game. And that previous scene isn't even the only hint towards items found through exploration, there's a hidden fuse that opens a door if you do things in a different order. Players have also found an incredibly hidden, albeit useless, axe hidden deep in the demo. 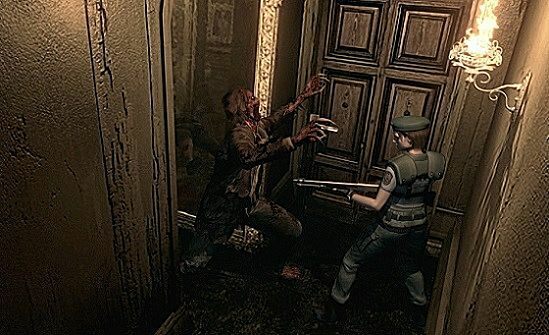 This type of gameplay is what truly made Resident Evil for its first five games, and when they dropped it for RE4, that's when the series began to be more and more action focused. 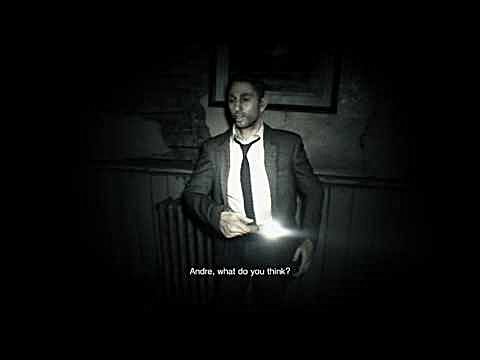 To me, the resurgence of this mechanic is what could make Resi 7 more Resident Evil. However, fans do still have their worries. RE7 is the first main series title to be in first person, and this does create some issues if Capcom really is trying to return to formula. With a completely controllable camera, you lose the camera angles that made the original games so cinematic, and loses an integral part that made the games truly scary. So how much of an impact will this have on the game? Well it depends on how well Capcom can design the game for fear. 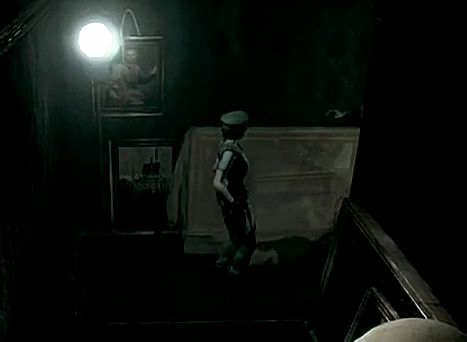 There are still ways to create horror with a controllable camera, and there are more ways to create horror in a game than just utilising film techniques. But this is what made Resident Evil unique. In our current era, there are so many horror games that use the same techniques. Any currently thought of design to make horror has probably already been done to death. 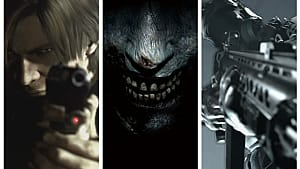 Resident Evil is probably the only one to make horror in such a way, and even if it's not the most successful at least it's unique. The obvious reason for why Resi 7 is first person is because it's going to be in VR, third-person games just don't work. But there is a bigger issue. The majority of people don't like tank controls. They just can't be bothered to wrap their head around a needlessly complex control scheme. In this day and age, when we want Resident Evil to be relevant again, we need to it to appeal to as many people as possible. I know quite a few people who, even though they'd probably love RE, just get frustrated by tank controls. But as I said before, tank controls and the camera angles work hand in hand, you can't have one without the other. If we remove the tank controls, we have to remove static cameras. This is exactly what happened with Resi 4, tank controls were removed, and a different camera control scheme was designed. The over the shoulder, 3rd person, camera definitely worked, but it lead towards an action focus. Now, Capcom is probably trying a third time to make this work, with the only camera system they have left to try. I'm not particularly at liberty to say, but I think it could work. We haven't truly lost the same sensory deprivation as before. 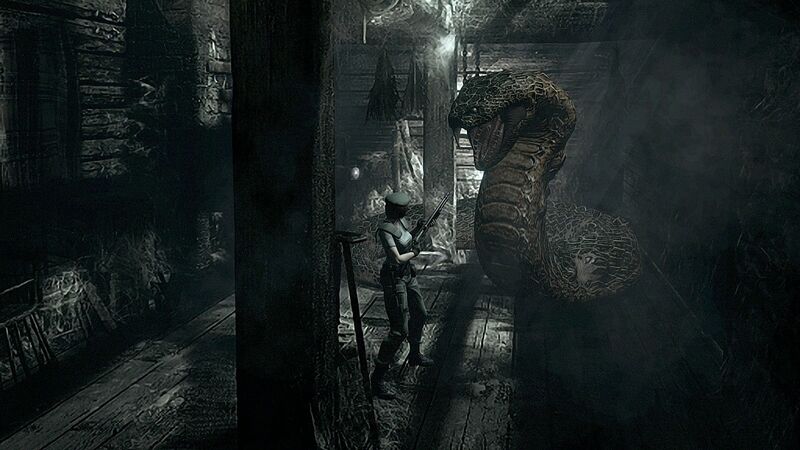 There aren't many enemies in the demo, but you can still hear footsteps and creaks in different rooms as you progress. This is mostly used to creep you out, but it could hint to a later use of sound to indicate the presence of enemies in the full game. There's also the scene in the demo where one of the characters calls your attention, and you look over to him. Once he's done talking, you look around and realise that the other character, Andre, has dissapeared. You can still control the camera and watch the other character leave, but a first time player will get distracted and believe that Andre has just mysteriously been taken. It's this kind of design that makes me feel hopeful, as Capcom has used events to move the player's attention, and effectively forced a camera angle in a certain direction. Most games would probably remove control from the player to show them what they want you to see. This way feels more fluid and immersive, because in a way, it is the player's choice to look in that direction. The story is probably the biggest thing people complain about. The generic, Silent Hill-esque atmosphere and the lack of connection to previous games. 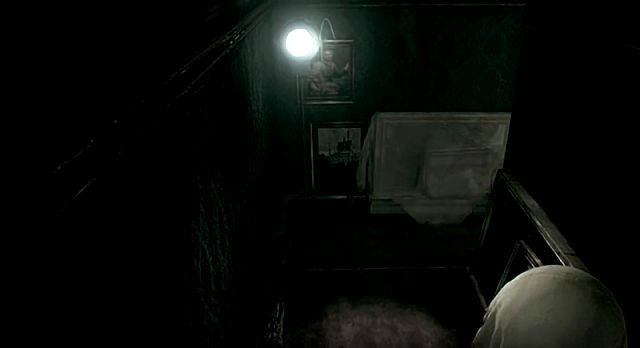 There's certainly some slight connection to the series: an umbrella logo in the game, on a helicopter, in a picture, in a hidden room, accessed by playing the demo a second time, and activating a secret (little bit of a stretch). As I stated before, Capcom has said that the plot and tone of the demo isn't representative of the full game. However, despite the first trailer being mostly for the demo, there are some things shown in that trailer that are nowhere to be seen. There's a montage of clips at the very end that has a certain atmosphere. There's this creepy music and a bunch of unsettling shots of forests and other things. I can't quite put my finger on what exactly the tone is, but I don't feel that it's the same cliche-creepy that we get a lot. It's actually the part of the trailer that intrigued me the most, even before I knew it was Resident Evil 7. 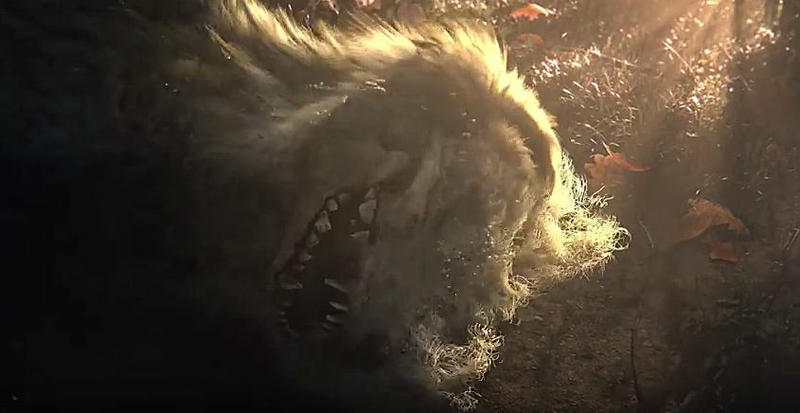 There's also a number of shots where things seem to deteriorate quickly, such as the wolf head. This seems to me like some kind of connection to biology, it might be a stretch, but for me this is what gives me the idea that they won't be ditching Resident Evil's biological roots. There are a number of things in the second trailer, however, that seem a lot less biological and that create a cliche-creepy tone. The being said, it barely shows us anything. It's possible that this is just an early stage in the game where we first see the enemies we're fighting. The monster that attacks the player could turn out to be a product of the bio-organic testing Umbrella does, but there's really no way to tell. From what I hear the character in the trailer is one that the player is trying to rescue in the full game, so perhaps the tone of helplessness is only portrayed because that character is truly helpless. I don't think this is a representation of how the game will turn out, but a representation that Capcom doesn't know how to make trailers. 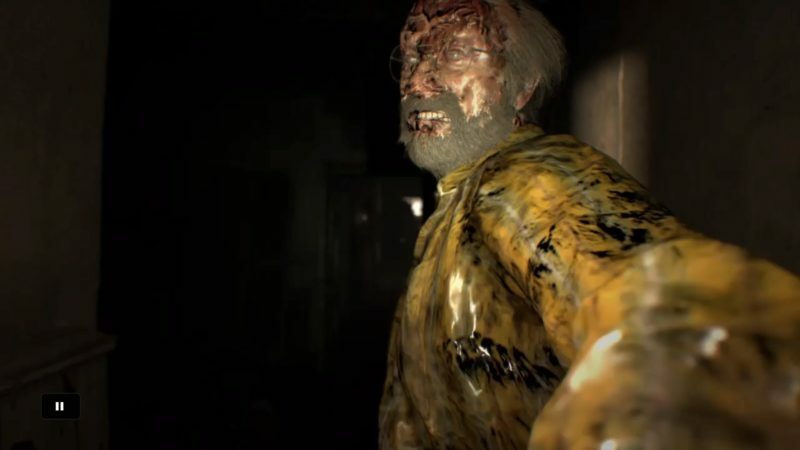 So Should We Be Worried About Resident Evil 7? I mean, we shouldn't be sitting around wondering if a future game will be as good as we want it to. There's better ways to spend our time. There's absolutely no way that we can tell exactly what kind of game Resident Evil 7 will be until we can play it for ourselves, who knows what the entire experience could be like? But as to whether or not we can predict Resi 7's quality, I think the community's current predictions are a bit too exaggerated. 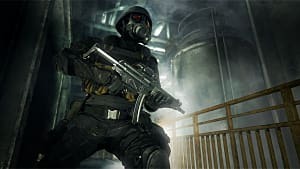 Resident Evil fans have been burnt too many times to be hopeful, and overhyped games have been so frequent recently that any depiction of what your game could be is not going to convince anyone anymore. I myself am hopeful that Resi 7 will return in some ways to the original formula. It would be nice to see those things return. Is it a problem that some things are different? Well, I'd like to say it isn't. We're in an era currently where plenty of developers are trying to return to what their games once were (New Super Mario Bros., Ratchet and Clank), but they aren't trying to improve on that original formula at all. So instead of returning to glory, we get something we've already gotten. It's actually quite interesting to see Capcom attempt to bring back aspects from the past, but also try to improve on them for a general audience. And if it turns out to be just like P.T., well then we'll finally get Silent Hills.